Mira Lowe is Director of the Innovation News Center (INC), a public media newsroom serving 19 North Central Florida counties where student journalists produce content for multiple media platforms, including WUFT-TV, WUFT-FM, ESPN 95.3, WRUF-FM, WRUF-TV, WUFT.org and Noticias WUFT. Prior to joining UF, Mira was a senior editor at CNN Digital in Atlanta where she managed the planning, execution and programming of various special projects across a global portfolio. She previously led the Features team, overseeing the entertainment, lifestyle, tech, travel and heath sections for domestic CNN.com and mobile. Before that, Mira was the editor-in-chief of JET magazine in Chicago, where she became the first woman to helm the number one African-American newsweekly. She also served as assistant managing editor for its sister publication, EBONY magazine, while at Johnson Publishing Company. Her print experience extends to newspapers, including Newsday, where she worked as an editor and recruiter. Mira’s passion for training students began as a counselor and teacher of TRIO programs serving low-income and first-generation college-bound students. Over the years, she has taught classes and guest-lectured at Columbia University, her alma mater, York College, Loyola University, Northwestern University and Marquette University. 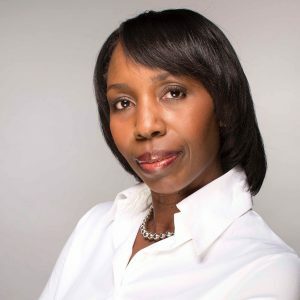 She is a member of the National Association of Black Journalists (NABJ), the Online News Association (ONA), Journalism & Women Symposium (JAWS) and Radio Television Digital News Association (RTDNA). Follow her on Twitter @miralowe or on LinkedIn at www.linkedin.com/in/miralowe/. Mira is co-author of “Heart and Soul: A Marriage of Love, Faith and Journalism” monograph, published in 2007 by the World Journalism Institute, and an essayist for “Black Woman Redefined: Dispelling Myths and Discovering Fulfillment in the Age of Michelle Obama” (paperback edition, 2012).